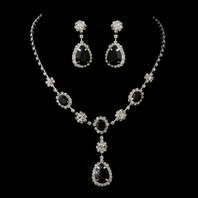 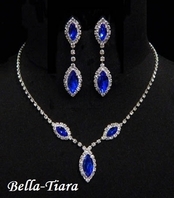 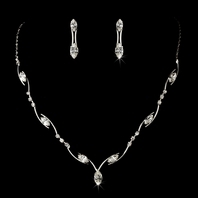 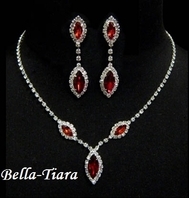 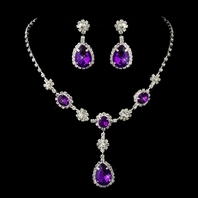 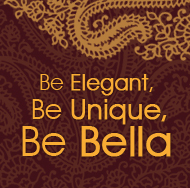 Simple and elegant, this silver plated necklace and earring set features a lovely trio of rhinestones. 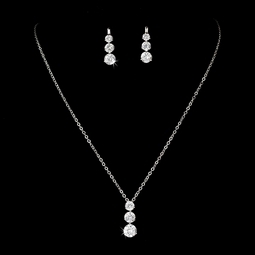 Versatile, this set is the perfect accessory to your classic or modern wedding, and the set coordinates beautifully with your white or ivory wedding dress. 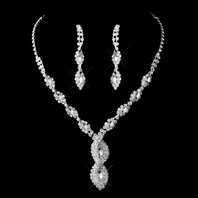 The necklace measures 17" long with a lobster claw clasp. 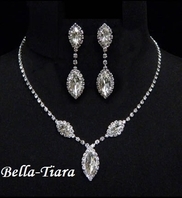 Matching earrings measure 3/4" long.